Marketers beware: you are only a malicious viral away from disaster. Here’s a cautionary tale, courtesy of The Guardian. The Maldives is a small Muslim archipelago republic in the Indian Ocean which relies almost exclusively for its income on upmarket tourism – or rather, it did. A Swiss couple wishing to solemnise their marital vows in a more exotic setting than their alpine homeland alighted upon the resort of Vilu Reef. That proved a big mistake. Hotel staff played an unkind practical joke on the pair by substituting for the marital vows a stream of sonorous expletives, the gist of which is contained in the two words “infidel” and “swine.” Only, the couple were unaware of their ritual humiliation because it was carried out in the local language. All this might have mattered little – it was probably not the first time the joke had been played – had a video of the ceremony not gone viral on You Tube. Now there’s all hell to pay. The Maldivian government is in melt-down over the crisis. It has issued a grovelling personal apology to the unfortunate couple and threatened all manner of retribution to the mischievous malefactors. That probably means a good flogging for the foul-mouthed “celebrant” and the 10 or so hotel staff present at the ceremony who did nothing to stop him. But the damage is done. It has taken 40 years to build the Maldives’ status as a world-class tourist destination. And the silliness of one person playing with the internet to cripple it. Publicis Groupe’s Chinese media buying point Vivaki Exchange has suffered another major setback with the loss of L’Oréal – one of the biggest accounts in China – to its arch-rival Mindshare China, part of the WPP Group. Vivaki Exchange is still reeling from the fallout of a corruption scandal which recently claimed the scalps of its two leading executives, Warren Hui and Ye Pengtao. 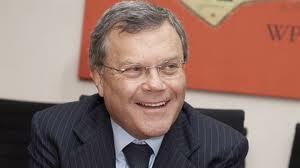 The win will no doubt put a broader grin on the face of WPP chief Sir Martin Sorrell as he prepares to unveil the group’s best quarterly organic growth in 10 years. A precise estimate of the account’s size remains elusive, although AdAge China places it at $2.5bn. Whatever, L’Oréal is the second biggest spender in China after Procter & Gamble. Mindshare is already the largest media buying operator in China, with billings of about $5bn in a total market of $47bn. Ad spend is growing at about 16% annually, according to Carat. Specifically, the L’Oréal account is handled by the Zenith Optimedia unit of Vivaki Exchange, which has confirmed the loss. Zenith has been having a tough time with the L’Oréal account around the world. It recently lost out to Universal McCann in a $70m US consolidation pitch; and also to Maxus, another WPP unit, in a pitch in India. But it continues to retain the £73m media buying and planning account run out of London. China is increasingly seen as the crucible of global media buying operations by all the premier league marketing services companies. A sign of the times is Omnicom’s decision to hold – for the first time ever – its annual meeting of top holding company executives outside the USA: it convened in Beijing last week. And the winner of Unilever’s crowdsourcing ad initiative is: Melody of Skin for Vaseline, by Japanese film-maker Ryoko Kwanishi. Earlier this year, incoming Unilever cmo Keith Weed set agency teeth chattering by announcing a co-creation competition with Mofilm to source the public’s best ideas for 13 of its most sacrosanct brands. Was this the beginning of the end for the agency world as we know it, asked more than one anxious Cassandra? So what are the implications of the experiment? Well, BBH – long-term partner with Unilever on the Lynx brand – and other roster agencies need not worry about packing their bags just yet. In an exclusive interview with Pitch, Weed expresses considerable irritation with the above-mentioned Cassandras. Critics are simply missing the point, he says. It’s only natural that Unilever should be in the front line of creative experimentation, because it always has been. “It produced the first black and white ad in the UK, the first colour ad. We’re the first brand on iAd … We are the second largest advertiser in the world. If we can’t experiment with stuff and push out into new territory, then who can?” Good point. So no one in adland need worry about their P45 just yet. It’s a timely shot across the bows all the same. Stay sharp. Chevron, the second largest US oil group and owner of the Texaco brand, launched a major corporate social responsibility charm offensive this week. 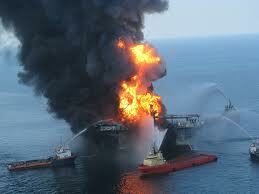 Days later, it announced it is resuming oil exploration in the Gulf Mexico. Are these two things by any chance connected? And, less rhetorically, is this connection wise? The CSR offensive, which takes the form of a press and TV ad campaign masterminded by Dentsu subsidiary McGarryBowen, has caused equal measures of mirth and consternation in the USA. And for good reason. Here’s the flavour. In each of the five full-page Chevron ads appearing in major newspapers (and the Economist), banner headlines announce that oil companies have responsibilities with phrases such as “Oil companies need to get real,” “Oil companies should clean up their messes” and (probably the most ironic one) “Oil companies should support the communities they are a part of”. Beneath each of these sonorous declarations of intent is the statement: “We agree”. The ads have spawned a convincing online spoof, created by the Yes Men – who have a track-record in this kind of activity – and caused some hollow laughter at NGOs Amazon Watch and Rainforest Action Network, who provided supporting material for the spoof. Notoriously, Texaco is mired in a controversy over environmental damage it is claimed to have caused in Ecuador. I suspect the cruellest irony for Chevron may yet be to come. Now that president Obama has lifted the moratorium on deep-water oil drilling in the Gulf of Mexico, the oil company has announced its intention to boldly go where Man has never drilled before. That is, two fields located 7,000 ft down – 2,000 ft deeper than the ill-fated BP Macondo well – and only 280 miles south of New Orleans. Good luck to Chevron with that one. Say what you like about Russian oligarch Alexander Lebedev’s approach to newspaper economics, you have to admit that he leaves no publishing model unturned. And knows how to spring a surprise. With dizzying speed, he has acquired control of The Evening Standard, doubled its guaranteed circulation and turned it into a freesheet – just when everyone else was getting out of afternoon freesheet London newspapers. Then gone on to buy the ailing Independent for £1 while pocketing a £9.5m sweetener. And now he’s hatched i – billed (admittedly by himself) as the first innovation in quality newspapers for 25 years. i? It’s a minuscule version of the Independent – a bit like The Week: but cheaper, at only 20p, and also daily, from Monday to Friday. There’s no new content apart from “some small unique stuff around the edges”, according to PaidContent. Which will obviously be one factor in keeping costs down; another being that it will be overseen by Simon Kelner, already editor-in-chief of the Independent and Independent on Sunday. On the other hand, keeping costs down is not really what it’s about. A circulation of 400,000 has been suggested; and given that it is a paid-for title, distribution overheads are unlikely to be negligible. We’re also told that a substantial outdoor campaign, devised by Beattie McGuinness Bungay, will back the launch. So this is no trifling brand extension of the Independent. But what exactly is it? Andy Mullins, managing director of the Independent, tells us “it’s for time-poor newspaper readers, and especially commuters” who “just don’t have the time to read a quality newspaper on a regular basis.” The key words here are “commuter” and “quality”. In other words, Lebedev appears to be bidding for the young, upmarket audience abandoned by London Lite and The London Paper with an offering that does not insult their intelligence. But do we really need another title targeted at upmarket Londoners? After all, most of the Independent’s readership is concentrated within the M25 area, of which London comprises by far the biggest portion. And, as if this were not enough, surely the free Standard is serving some of those commuter needs? All right, points can be made in favour of further market segmentation. i will be available in the morning, whereas the Standard is an afternoon read; moreover it purports to be aimed at a slightly higher demographic. But even after making these allowances, cannibalisation of Lebedev’s existing readers seems likely to be the inexorable by-product of his latest launch. Why risk it in the first place? One theory is that it will provide camouflage for a routed Independent, whose fully-paid circulation has already plunged below 100,000 in the UK and Ireland. Another is that we should take Lebedev at his word: he really does have a passion for newspaper publishing that far outweighs concerns about its immediate commercial viability. It’s easily forgotten just how unlike any other UK newspaper publisher Lebedev is. It’s not so much his wealth – though that’s substantial enough at an estimated $2bn – as where it comes from that sets him apart. Essentially he’s a financier and industrialist (indirect interests include Gazprom and the aircraft-leasing company Ilyushin Finans) who aspires to be a politician in a way that only a Russian could be. In 2008, for example, he set up the Independent Democratic Party of Russia with former Soviet Union supremo Mikhail Gorbachev (who co-owns Lebedev’s liberal Russian newspaper, Novaya Gazeta). The following year he attempted to run for mayor at Sochi, which will host the 2014 Winter Olympics, but was disbarred. Underlying it all is a tough blend of Yeltsin-era oligarch (one of the few who hasn’t been incarcerated, dispossessed or sent into permanent exile, that is) and Putin-era silovik (ex-KGB officers, who are effectively Russia’s governing class). In other words, Lebedev is a pragmatic survivor who takes the long view. All of which puts his newspaper interests in little old England into perspective. It would be wrong to define them as a hobby; perhaps they should be seen more as a bolt hole if things go horribly and definitively wrong back home. In the process of building it, let’s hope he’ll discover how to make money out of the contemporary newspaper. Clearly the future of the Central Office of Information, which has been around since 1946, is even more precarious than I – or I suspect its chief executive Mark Lund (left) – had imagined. Not content with imposing an emasculating 40% cut on the COI’s 737-strong workforce, the Government is now openly toying with the idea of casting its eviscerated carcass onto the bonfire of the quangos. The decision, which will not be finalised until the end of November, is in the hands of cabinet office minister Francis Maude. Maude’s views on the subject may readily be gauged by his recent actions. He has floated the idea of the BBC airing COI campaigns free of charge – presumably in place of the many self-indulgent programme trailers and cross-channel promotions which now clog our viewing. Indeed, he has gone further. Since media buying would, to the extent that campaigns are aired by the BBC and not commercial channels, become redundant, he has taken the logical step of opening negotiations with WPP over M4C’s £200m centralised media buying contract. Strip out centralised media buying, and it is very difficult to see what else is propping up the rationale of the COI. Specialised consultancy advice? Increasingly unlikely. Such industry knowledge will be a rare commodity once the organisation has been cut to the bone. And if that is so, the road to dissolution begins to look like a four-lane motorway. As with other quangos facing the axe, any essential functions will be transferred to alternative organisations – here, the bigger-spending departments of state such as the DoH. All this would be a terrible blow for commercial television (especially ITV, which carries the bulk of COI campaigns). But it is doubtful whether agencies (beyond M4C and the media buying community) would shed anything other than a few crocodile tears. Someone still has to make the ads; and Richard Pinder, chief operating officer of Publicis Worldwide, has made it abundantly clear that his agency for one would be right behind the Maude proposal. Others may be more muted, but it’s unlikely they will disagree with him. If Maude gets his way, it will be the realisation of a terrible irony. Previous COI ceos – namely Carol Fisher and Alan Bishop – have fought tooth and nail over the past decade, ultimately successfully – to suppress a secession by departments of state. But will Maude actually go through with it? Don’t underestimate the BBC’s ability to kick up a stink over this: it doesn’t like the Maude Plan any more than ITV, although for a quite different reason. The whole issue threatens to become mired in a heated “public interest” debate, pivoting on the BBC’s impaired political impartiality. What with the brouhaha over BSkyB (to refer, or not refer, Rupert Murdoch’s bid), I doubt that the coalition government will have the stomach to take on an alienated ITV and truculent BBC as well. No doubt about it, though, it’s a thin thread the COI’s future hangs by. Spare a thought for BBC director of marketing, communications and audience Sharon Baylay, who leaves next year – and not entirely of her own volition. The axing of her position is a monument to the ineptitude of director-general Mark Thompson in front of a microphone. It was preordained from the moment that he allowed himself to be kebabed on the skewer of a little old lady’s forensic interviewing technique. Cast your mind back to December 31st, 2009. PD James, the little old lady in question, was guest-editing the Today programme. I don’t know whether Thompson had a premonition he was going to be that morning’s toast. 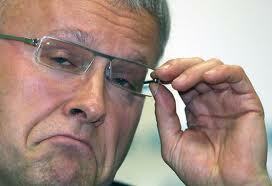 He certainly acted like a fox lamped by headlights when the crimewriter and former BBC governor moved in for the kill. In her cross-wires were the 37-plus BBC employees who – inexplicably in her view – earned more than the prime minister. 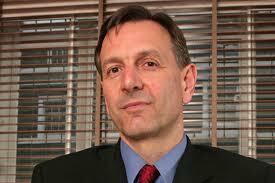 Thompson attempted to bat it off by justifying the salary of then BBC1 controller Jay Hunt, with her £1bn budget. But James was having none of this. She was not talking of Hunt and her kind, she said. Who were all these over-salaried bureaucrats with not a shred of creativity in their make-up? And in particular, this clan of clones with marketing and communications in their title, paid for by the taxpayer? Why, the litany is endless: there’s a director of marketing, communications and audiences on £300,000, and a director of communications on £225,000 – doesn’t he do what the other person’s supposed to do? Then there’s a director of brand and planning, a director of audiences… And so on. It begins to sound like an extract from the script of Yes Minister, only it’s for real. At first sight, Baylay seems an identikit fit for an “over-salaried” bureaucrat. Her basic salary is £310,000 and her pedigree is not the BBC but Microsoft, where for 15 years she played a competent but fairly faceless role in a number of managerial positions, culminating in general manager of online services. But that’s to look at the appointment, which happened in May 2009, in the wrong light. Baylay is less a techno-mandarin than the last of series of expensive imports from the private sector who have swelled the power and importance of the marketing function within the BBC. The first marketing director in any meaningful sense was Sue Farr, who had a background weighted more towards advertising than brand management. But that was no bad thing: in those days marketing, which was much more lowly in the BBC hierarchy than it is today, was largely about on-air ads, such as Perfect Day. Farr had another, unofficial, role. She was the publicly acceptable face of director-general John Birt, a skilful if robotic strategist and not someone you’d particularly want to invite to dinner. Farr came a cropper with the advent of Greg Dyke as Birt’s successor in 2000. Dyke, probably the most successful and certainly the most popular d-g in recent times, suffered from no such interpersonal skill inhibitions as his predecessor. He wanted a “real” marketer who would oversee not only the BBC’s content and PR operations, but be at the heart of its audience research as well. And he eventually alighted on Andy Duncan, with his classic fmcg background at Unilever. The early success of Duncan, reflected in the take-off of Freeview and his subsequent promotion to chief executive of Channel 4, set a precedent. It was reinforced by his successor, Tim Davie – once again equipped with impeccable fmcg credentials, this time Pepsi-bred. The difference between Davie – who moved on to become the BBC’s director of audio and music – and his successor Baylay really amounts to sector emphasis. At a time when media is ever more interactive and internet-driven, it made sense to appoint someone steeped in digital experience. And where better to look than Microsoft, which had been closely involved with the BBC in the development of the iPlayer? You are currently browsing the Stuart Smith's Blog blog archives for October, 2010.